The California Giant Berry Farms cycling team has garnered a wardrobe full of national championship jerseys over the years – both on the road and in cyclocross. The team, founded in 2001 by Anthony Gallino, who also happens to be the farm’s VP of Sales, started small, and has steadily grown and improved ever since to become one of the nation’s best. The Cal Giant ’cross team has swelled to include seven impressive riders, and promises to be one of the decisive forces on the scene this year. I caught up with Gallino just after the team wrapped up its training camp to see what’s brewing for 2010/2011. Let’s start off with the lineup. You’ve brought some impressive new blood into the program! Jesse Anthony is a young guy who’s just coming into his prime. He has a ton of experience, and already has seven national championships under his belt. Teal Stetson-Lee is still relatively new to the sport. 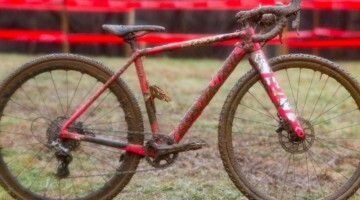 Last year was her first year of ’cross, but she finished it by winning the Collegiate National Championship. 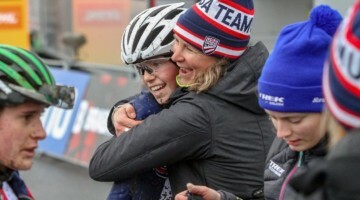 Meredith Miller [former road national champ, silver medalist in 2009 Cyclocross Nationals] is excited to have a good, quality teammate in the races. And they’re both based in Colorado. 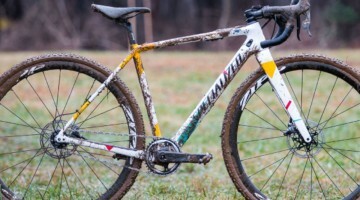 This is only her third year of ’cross, so we think she’s going to get even better. 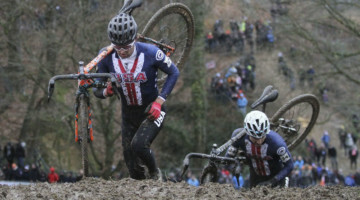 Jeremy Ferguson has moved up from the Club program after taking fifth in last year’s U23 Nationals. He’ll join Cody Kaiser, last year’s Junior champ, in the U23s. As far as the returning guys, Nick Weighall is entering his sophomore year in the Elite Men, he was the 2008 U23 champ. He’ll join [multi-time Masters national champ] Justin Robinson and Jesse racing Elites, and although Todd Wells is primarily a Specialized athlete, he’ll be traveling and racing with us at certain events. So, how does it work geographically? Do most athletes base out of California? No, Jesse will remain based in New England. That’s actually a really good thing – that’s a big market for berries, and he’ll be flying the flag well for some races out there. Cody and Jeremy are in Sacramento and Justin in Santa Cruz, so we have this are well-covered. Nick’s in Salt Lake City With Meredith and Teal in Colorado, we’ll get some representation there as well. What’s the calendar looking like, and what are some team targets? We’ll have a full team at CrossVegas, everyone’s starting there. Actually, Nick will race the StarCrossed/Rad Racing weekend as well. After Vegas, it’s straight to the Madison USGP. The USGPs will be the main focus, and we’ll hit some additional select events as a team as well. Teal and the California guys will hit the UCI races in Los Angeles, we’ll have teams for Jingle Cross, Boulder Cup and Providence. Then in November, we may have the opportunity to bring some people to World Cups. After that, we finish the USGPs, race Nationals, and three or four World Cups after Christmas. We had a really good showing in Europe with Meredith and Cody last year, and we’d like to keep that trend going. That’s an impressive undertaking! Tell me about the sponsor backing you’re getting to make all that possible. Well, there’s no other Elite program of this size. We’re the country’s top amateur road team, and I’d say among the top three cyclocross programs. 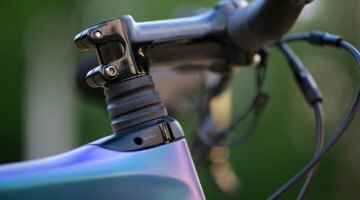 Specialized has really stepped up its support this year – we’ll have Specialized demo trucks at the events, with a side of the truck for full demos for people to check out the latest cyclocross, MTB and road bikes. 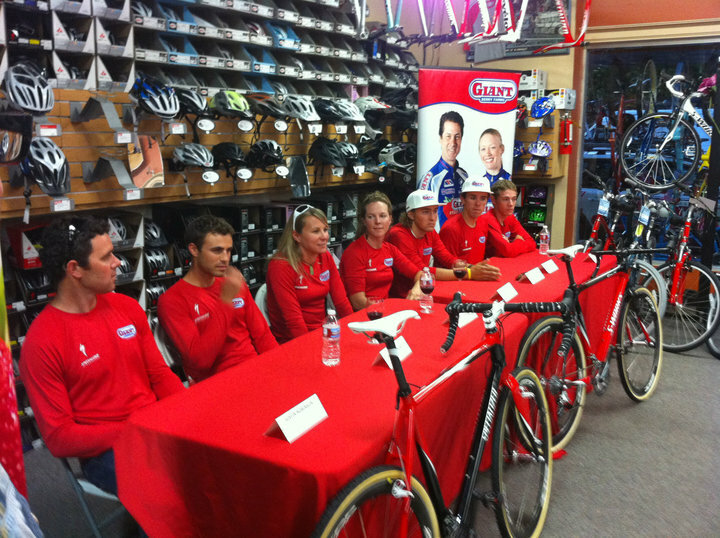 Cal Giant has gotten great marketing out of the team, with its brand on some of the top athletes in the US. We also have over 100 members in our cycling club in Monterey Bay, so there’s tons of exposure locally. It’s a sponsorship that really makes sense, too. Strawberries, and berries in general, are very healthy products and are a great recovery food. What equipment will you be racing? 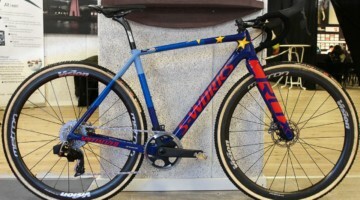 We’ll be on Specialized Crux bikes – three racers on the carbons, which have the old Tricross geometry, and four on the Crux aluminums, with the new geometry. Eventually there’ll be a carbon model with that geometry as well. Then it’s SRAM Red, Zipp wheels, TRP brakes, Dugast tires, Oakley optics, and we’ve switched to Look Quartz carbon pedals to be congruent with the road team sponsorship. Gina Hall came back to ’cross last year and won a Masters jersey. Will you continue to support athletes not listed on your Elite squad? We’ll still field a strong Masters program in NorCal. Gina Hall, Carmen D’Alusio, Josie Beggs will all race locally. Al Coates, Gannon Myal, Norm Kreiss and some other guys will also hit the bigger GPs. And we always have a huge presence at Nationals. Tell me about the recent team training camp. It was a two-day camp with minimal riding, honestly. 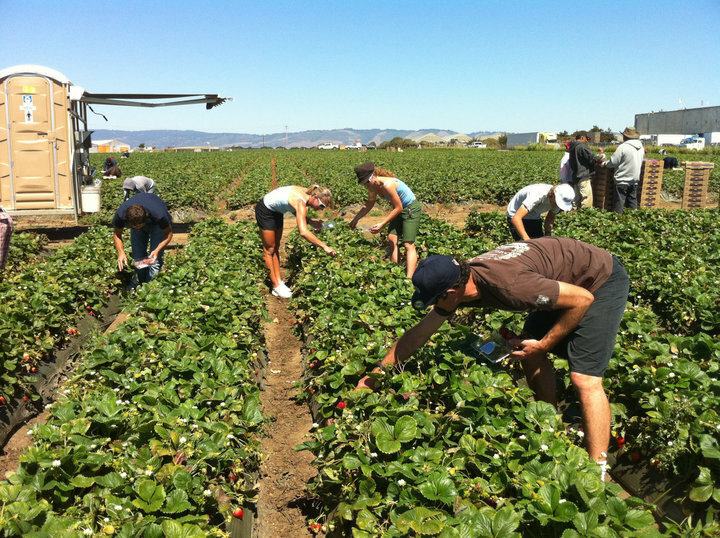 It was about getting to know people, and Strawberry 101 and Specialized 101. We spent Wednesday at Cal Giant learning about the company and why they sponsor cycling, then went out for a field tour and picked berries. On Thursday, we had a ride in the AM, and there were a lot of smiling faces as everyone got familiar with their new rides. Then we went up to Specialized in Morgan Hill, and later had a team presentation at the Spokesman shop, which is the biggest Spez dealer in the Santa Cruz/Watsonville area. Thanks for your time, Anthony. Look forward to seeing you guys tearing it up at the races!